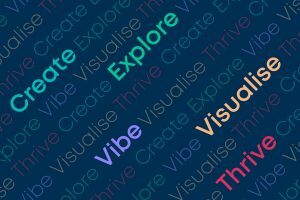 One of the newest boxes to launch onto the subscription box market here in the UK is also one of the most interesting and exciting. QTbox launched just last month and they specialise in delivering a box of ‘mindful life hacks’, which are innovative products to make your life easier and better. 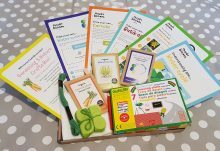 QTbox offers two different types of subscription: the Premium subscription where you’ll receive two Mindful Life Hack items for £25 a month and the Premium Plus subscription which will contain four Mindful Life Hack items for £40 a month, so you can choose the best one to suit your personal needs and budget, and with both options, the delivery is free. I’ll be honest, I wasn’t sure what these were at first but after a little googling online, I discovered that they’re used for getting rid of odours in a natural and sustainable manner. The bag is made from bamboo material, and inside it contains Activated Charcoal which helps to absorb any unpleasant or annoying odours. These are perfect for putting into wardrobes/clothes drawers, in the fridge to absorb food smells, and in the car to keep it smelling fresh etc. 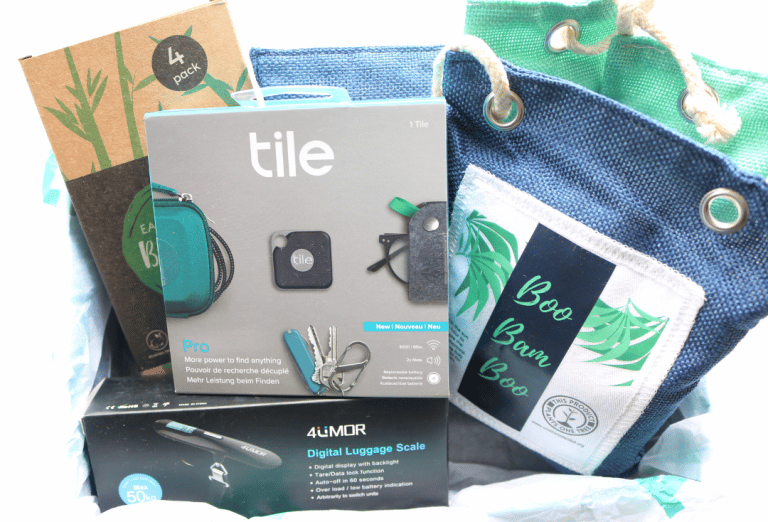 Before you use the bags, you’ll need to leave them in the sun for up to an hour which rejuvenates the charcoal (easy enough to do on a sunny day like today!) and then you’re good to go. 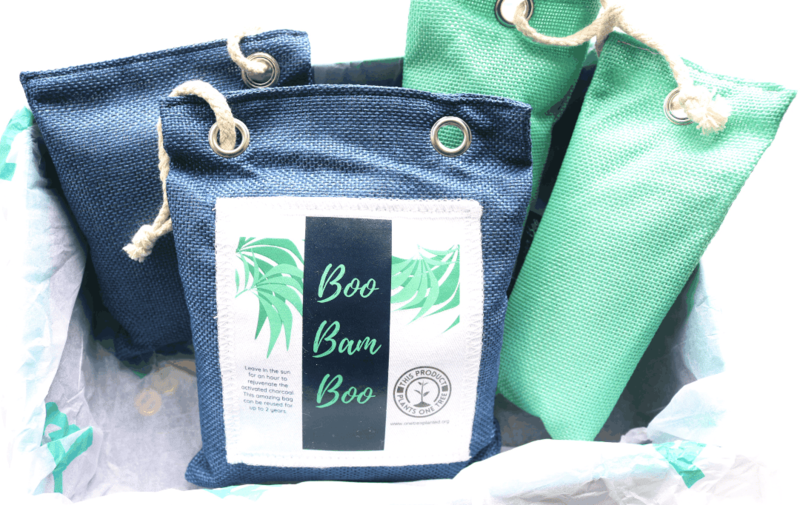 These bags can be used for up to 2 years and they’re a brilliant natural and eco-friendly alternative to mainstream air fresheners and deodorisers. 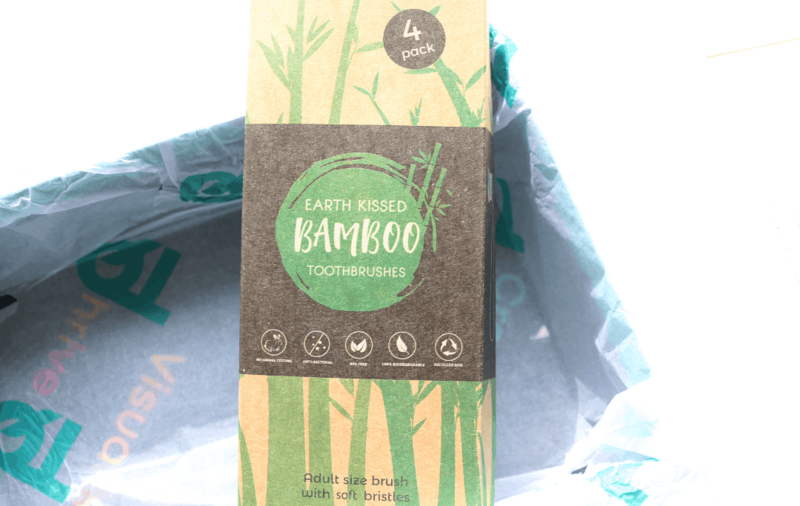 Next up, I was pleased to see another eco-friendly product, this time from the brand Earth Kissed. 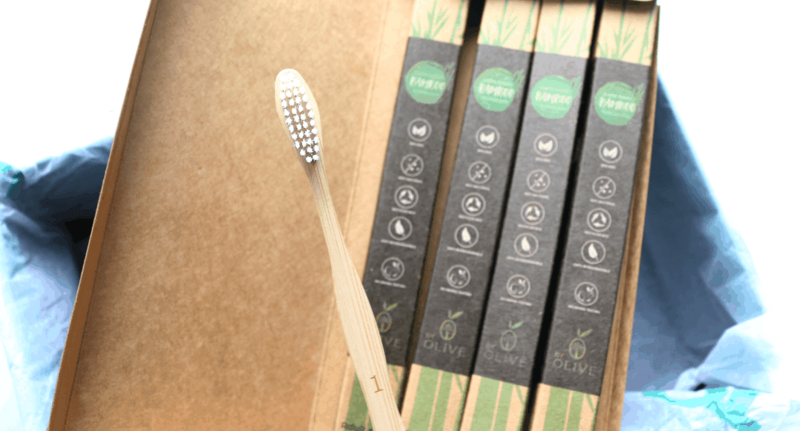 This set of four adult-sized toothbrushes are made with sustainable bamboo instead of plastic which means that they’re 100% biodegradable and naturally free from BPA which is found in most plastics today. An easy way to reduce your plastic waste! 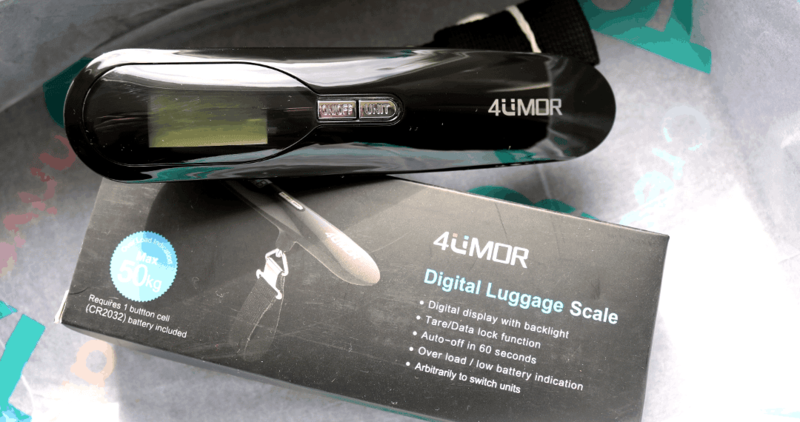 With the Easter holidays coming up, this handy Digital Luggage Scale will be a really useful addition to those who are getting ready to go abroad. Simply switch it on, hook it onto your bag/suitcase, and instantly find out how heavy your belongings are so that you don’t get caught out with expensive baggage charges at the airport! It measures up to 50kg and switches itself off automatically after 60 seconds to save battery use. 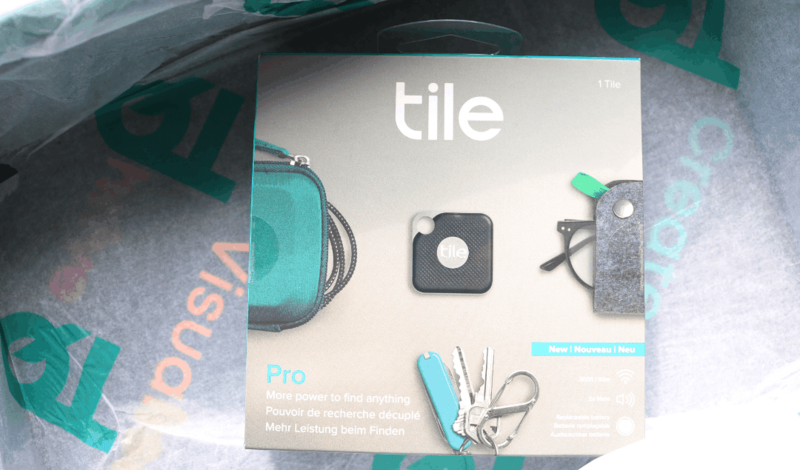 The last product is a Tile Pro which is one of those products that I’ve been meaning to purchase for a long time! This clever little device helps you to find your phone, your keys, your glasses etc and comes with a replaceable battery. It connects via bluetooth and has a 300ft distance capacity. There’s also an app that you can use in conjunction with it which is very useful indeed! 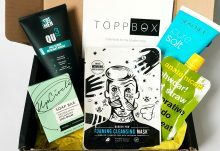 The QTbox is a brilliant new subscription box for those who are looking for practical, useful and innovative products that they'll use time and time again!